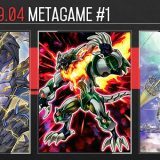 Destrudo the Lost Dragon’s Frisson is a Level 7 Tuner Dragon from the latest Booster Set, Circuit Break. 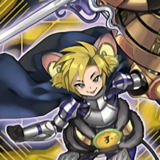 By targeting a Level 6 or lower monster on the field, it could Special Summon itself from hand or graveyard, and then reduce its own Level by the Level of the targeted monster. 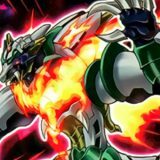 Essentially, Destrudo is an easy access to Level 7 Synchro Monsters. 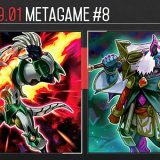 This article will showcase some combos involving Destrudo the Lost Dragon’s Frisson and how it helps ABC to bring out ABC-Dragon Buster in one turn. 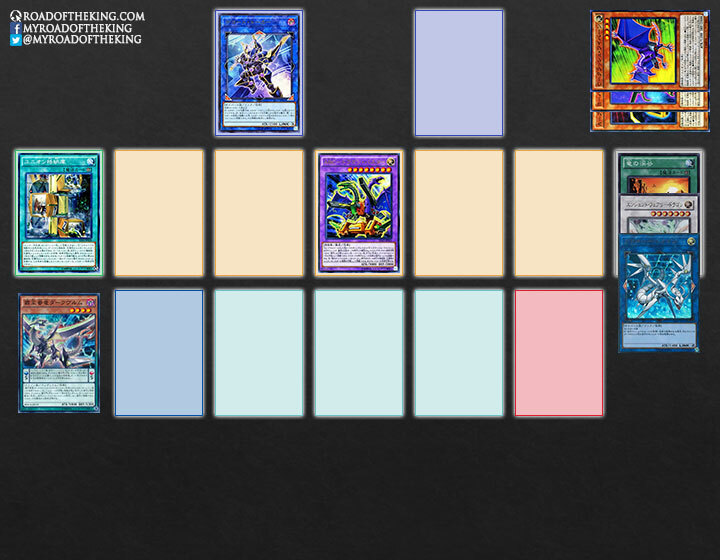 This combo requires Destrudo the Lost Dragon’s Frisson in either the hand or the graveyard. Foolish Burial and Dragon Shrine could send Destrudo directly to the graveyard. Dragon Ravine could also send Destrudo, but would require a cost of 1 discard. For Union Hangar and Dragon Ravine, they could be searched by Terraforming and Set Rotation. Activate Union Hangar, add A-Assault Core from deck to hand. When A-Assault Core is successfully summoned, activate Union Hangar to equip B-Buster Drake from deck. Special Summon Destrudo the Lost Dragon’s Frisson, halve your LP and target A-Assault Core. Using Destrudo the Lost Dragon’s Frisson + A-Assault Core (equipped with B-Buster Drake), Synchro Summon Ancient Fairy Dragon. 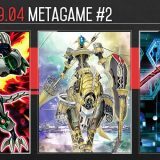 Trigger the effects of both A-Assault Core and B-Buster Drake, forming a Chain. Chain 2: Resolve the effect of A-Assault Core, add B-Buster Drake from graveyard to hand. 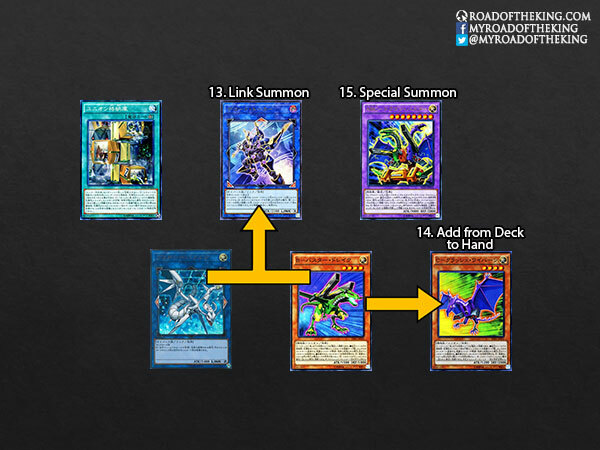 Chain 1: Resolve the effect of B-Buster Drake, add C-Crush Wyvern from deck to hand. Activate the effect of Ancient Fairy Dragon, Special Summon C-Crush Wyvern from hand. 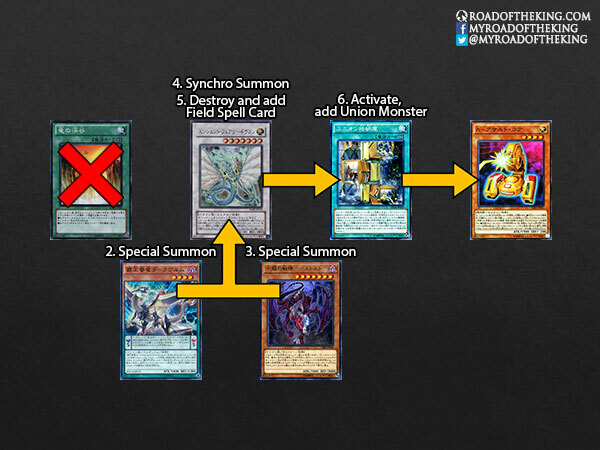 Activate the effect of Ancient Fairy Dragon, destroy Union Hangar, gain 1000 LP and add Chicken Game from deck to hand. Activate Chicken Game, pay 1000 LP and draw 1 card. 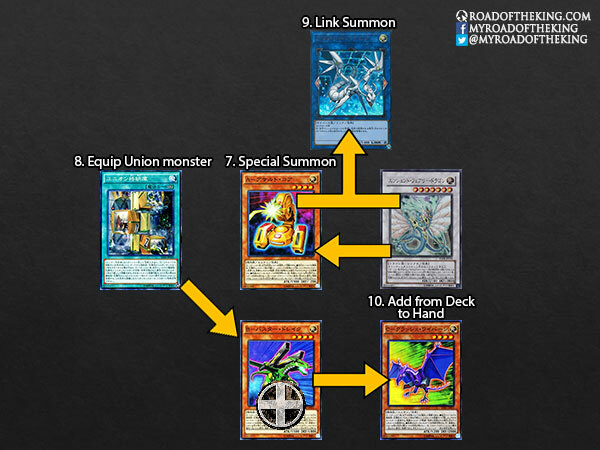 Using Ancient Fairy Dragon + C-Crush Wyvern, Link Summon Proxy Dragon. Trigger the effect of C-Crush Wyvern, Special Summon B-Buster Drake from hand. 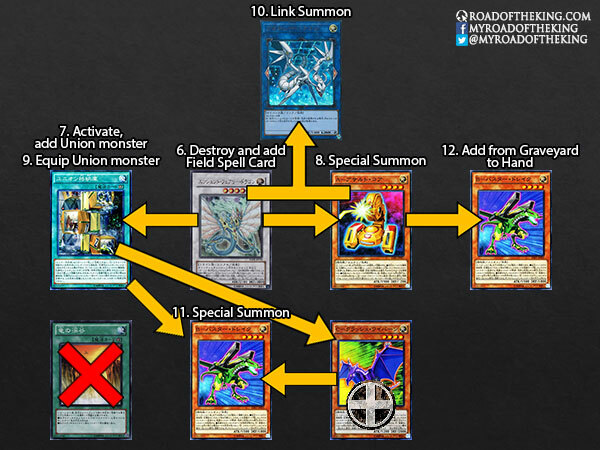 Using Proxy Dragon + B-Buster Drake, Link Summon Decode Talker. Trigger the effect of B-Buster Drake, add A-Assault Core from deck to hand. Banish A-Assault Core + B-Buster Drake + C-Crush Wyvern from the graveyard, Special Summon ABC-Dragon Buster. 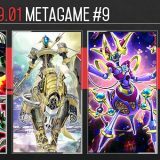 This is a 2-card or 3-card combo that ends with Decode Talker and ABC-Dragon Buster, while still having A-Assault Core in hand to discard for ABC’s effect. Getting Chicken Game and activating it in Step 9 and 10 is optional. 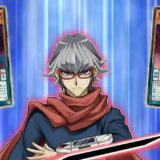 While it does give you 1 additional card, your opponent could also get a draw off it on their turn. An alternative play is to add the second Union Hangar to hand, ready to be played on the next turn. Activate Dragon Ravine, discard 1 card, send Destrudo the Lost Dragon’s Frisson from deck to graveyard. 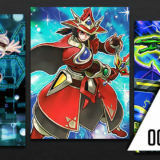 Special Summon Destrudo the Lost Dragon’s Frisson, halve your LP and target B-Buster Drake. 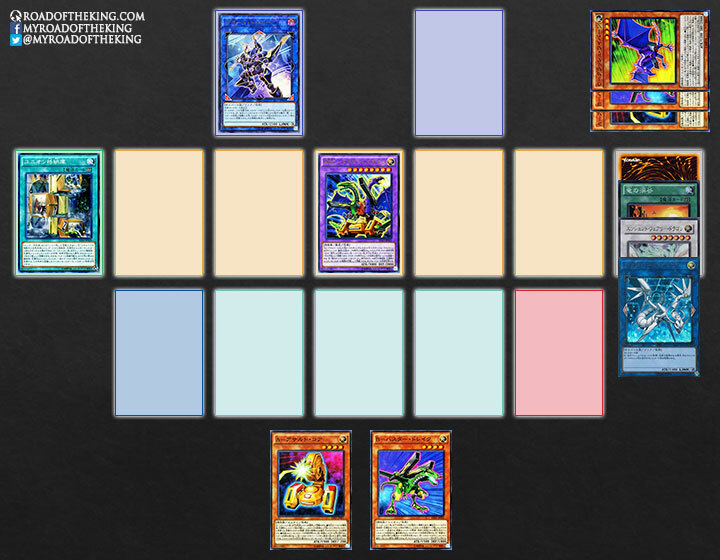 Using Destrudo the Lost Dragon’s Frisson + B-Buster Drake, Synchro Summon Ancient Fairy Dragon. 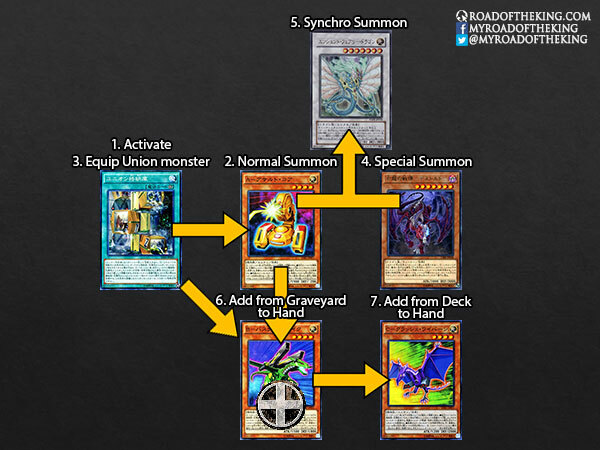 Activate the effect of Ancient Fairy Dragon, destroy Dragon Ravine, gain 1000 LP and add Union Hangar from deck to hand. Activate Union Hangar, add B-Buster Drake from deck to hand. Activate the effect of Ancient Fairy Dragon, Special Summon A-Assault Core from hand. When A-Assault Core is successfully summoned, activate Union Hangar to equip C-Crush Wyvern from deck. 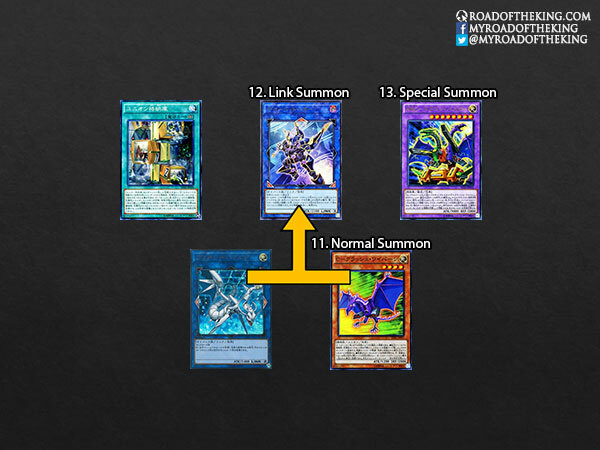 Using Ancient Fairy Dragon + A-Assault Core (equipped with C-Crush Wyvern), Link Summon Proxy Dragon. Trigger the effects of both A-Assault Core and C-Crush Wyvern, forming a Chain. 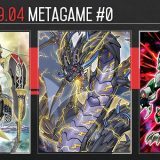 Chain 2: Resolve the effect of C-Crush Wyvern, Special Summon B-Buster Drake from hand. 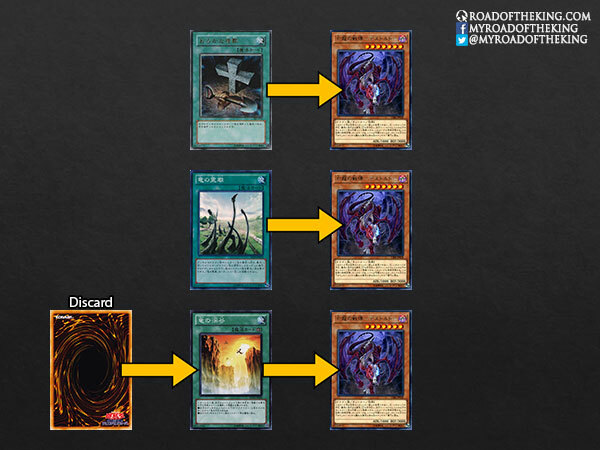 Chain 1: Resolve the effect of A-Assault Core, add B-Buster Drake from graveyard to hand. This is a 3-card combo that ends with Decode Talker and ABC-Dragon Buster, while still having A-Assault Core and B-Buster Drake in hand to discard for ABC’s effect. 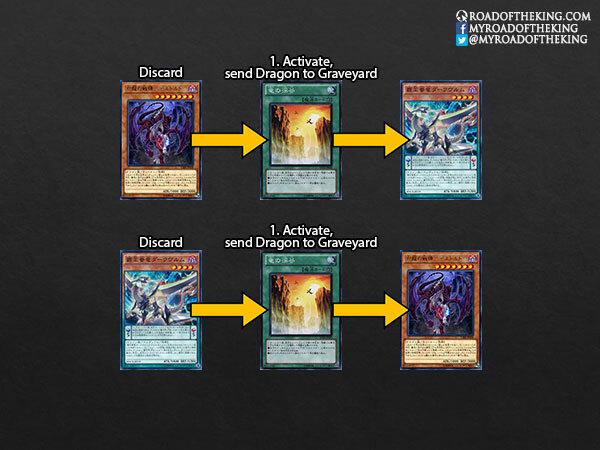 Activate Dragon Ravine, discard C-Crush Wyvern, send Destrudo the Lost Dragon’s Frisson from deck to graveyard. 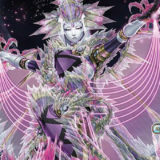 Using Destrudo the Lost Dragon’s Frisson + A-Assault Core, Synchro Summon Ancient Fairy Dragon. Trigger the effect of A-Assault Core, add C-Crush Wyvern from graveyard to hand. When C-Crush Wyvern is successfully summoned, activate Union Hangar to equip B-Buster Drake from deck. Using Ancient Fairy Dragon + C-Crush Wyvern (equipped with B-Buster Drake), Link Summon Proxy Dragon. Trigger the effects of both B-Buster Drake and C-Crush Wyvern, forming a Chain. 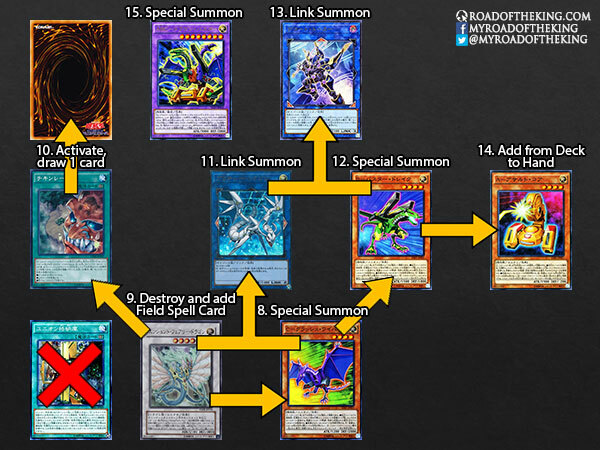 Chain 1: Resolve the effect of B-Buster Drake, add A-Assault Core from deck to hand. Trigger the effect of B-Buster Drake, add C-Crush Wyvern from deck to hand. This is a 3-card combo that ends with Decode Talker and ABC-Dragon Buster, while still having A-Assault Core and C-Crush Wyvern in hand to discard for ABC’s effect. There is also an additional B-Buster Drake in the graveyard, allowing you to Special Summon another ABC if you could discard both A and C from hand. Combo 3 also works if your opening hand is Dragon Ravine + A-Assault Core + A-Assault Core. 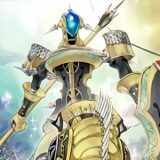 The cards in hand and graveyard might be a little different, but you would still end with Decode Talker and ABC-Dragon Buster. Activate Dragon Ravine, discard Destrudo the Lost Dragon’s Frisson or Supreme King Dragon Darkwurm, and send the other card from deck to graveyard. 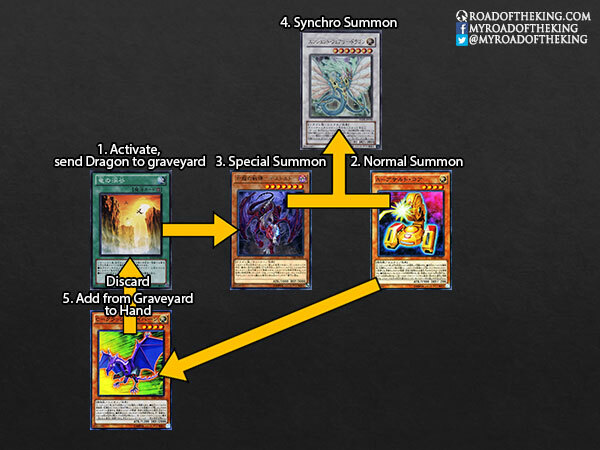 Activate the graveyard effect of Supreme King Dragon Darkwurm, revive itself. 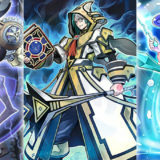 Special Summon Destrudo the Lost Dragon’s Frisson, halve your LP and target Supreme King Dragon Darkwurm. 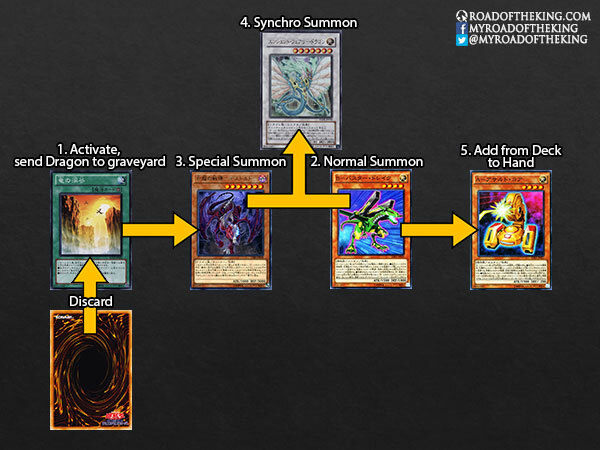 Using Destrudo the Lost Dragon’s Frisson + Supreme King Dragon Darkwurm, Synchro Summon Ancient Fairy Dragon. 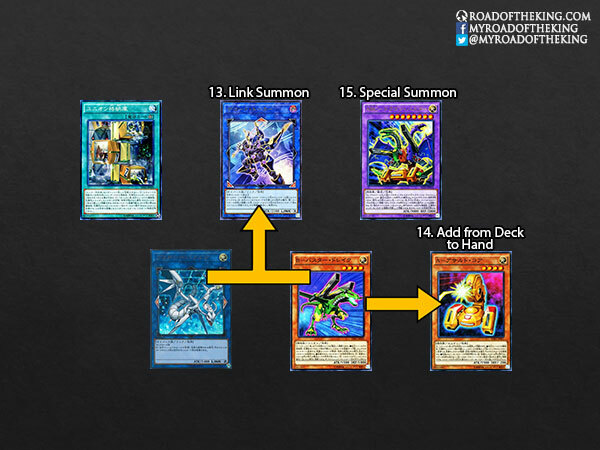 Using Ancient Fairy Dragon + A-Assault Core (equipped with B-Buster Drake), Link Summon Proxy Dragon. Trigger the effect B-Buster Drake, add C-Crush Wyvern from deck to hand. 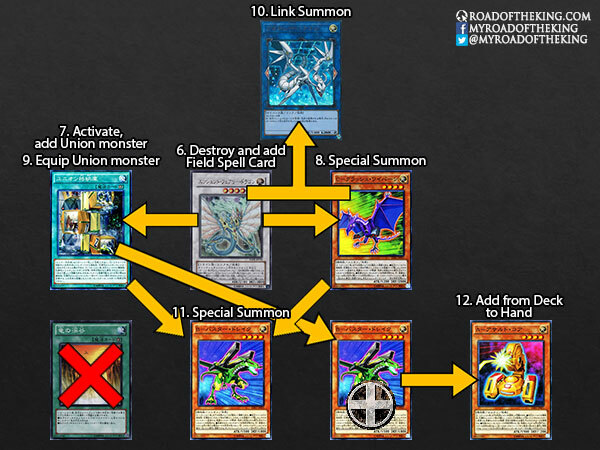 Using Proxy Dragon + C-Crush Wyvern, Link Summon Decode Talker. 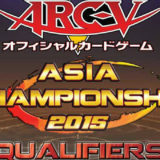 This is a 2-card combo that ends with Decode Talker and ABC-Dragon Buster. Destrudo the Lost Dragon’s Frisson is essentially a better version Cockadoodledoo, being able to be searched by Foolish Burial and Dragon Ravine. In turn, Dragon Ravine could be searched by Terraforming and Set Rotation. Combo 1 is the classic Cockadoodledoo + Union Hangar combo, but using Destrudo instead. Combo 2 and Combo 3 are for cases when you opened with a combination of A, B, C in hand, and Dragon Ravine (or only 1 of Terraforming/Set Rotation). As such, only the combination of Dragon Ravine + C + C is unable to summon Decode Talker and ABC-Dragon Buster on the same turn. Combo 4 would cover cases where you don’t open with any A, B, C and Union Hangar, but with Dragon Ravine and Destrudo. These core combos should cover most of the scenarios for bringing out Decode Talker and ABC-Dragon Buster on the first turn. 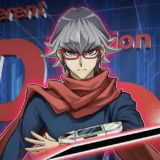 The combos that are shown on this site are great, hopefully in the future you will have combos for decks in the TCG format. All these combos work in the TCG too. I want to know how can I substitute Ancient Fairy Dragon. 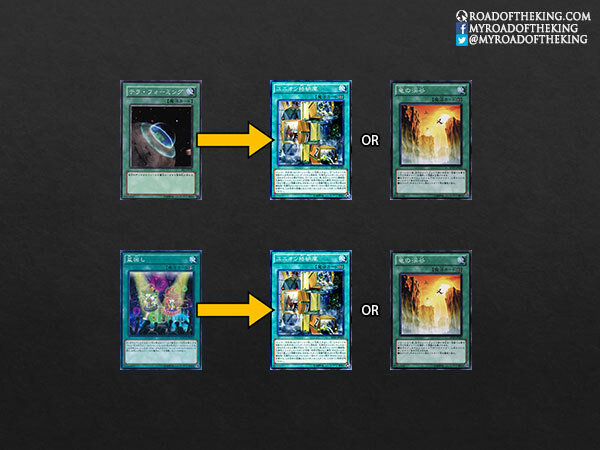 Which card is similar?